The league says it would even entertain the prospect of working with Sony on raising awareness about football safety. Facing an onslaught of potentially damaging PR, the National Football League has drafted its own game plan for dealing with the upcoming Sony film Concussion. The league will host a series of discussions, conferences and scientific strategy meetings about player safety over the coming months in the run-up to Concussion’s release Christmas Day. In fact, the NFL says it welcomes the Will Smith-led film’s ability to spark dialogue on the subject, despite being portrayed as an organization that tried to conceal findings about the long-term effects of football-related head trauma. Among the events planned are a convening of concussion experts at the University of Pittsburgh Medical Center that is being funded by a grant from the NFL Foundation (beginning Oct. 15) and the International Professional Sports Concussion Research Think Tank in London (Oct. 23-25). The NFL isn’t shirking from the media glare in the wake of Monday’s Concussion trailer debut, which prompted major news coverage from networks and national outlets. Miller says the NFL will speak to any press outlet that wants to know about the health and safety questions in football and what the league is doing to reduce concussions. Perhaps more intriguing, the NFL would even entertain the prospect of working with Sony on raising awareness. To date, no one from the NFL has been invited to see the film, which has been screened mostly for sports journalists, including writers and editors at Sports Illustrated, which made the film its cover story this week. Meanwhile Sony is scrambling in the aftermath of a New York Times article — citing a series of hacked emails — that claims the studio softened the film’s take on the NFL. In response, the studio has put the film’s directorPeter Landesman on the record for a number of news outlets including THR in an effort to reverse the perception that it caved to pressure. The NFL, too, is bristling at the suggestion that it applied any pressure to alter the film. THR could find no evidence in the trove of leaked emails from last year that the studio and the NFL had any contact regarding Concussion beyond a brief email exchange between Landesman and NFL communications chief Paul Hicks in which the director requested a meeting that never materialized (Hicks asked for and was denied a copy of the script). And while Sony and the NFL are waging their own PR campaigns over the film’s treatment of the league, Dr. Christopher Giza, director of UCLA’s Steve Tisch BrainSPORT Program, offered up an outside perspective on the Concussion debate. The choice for 2014 NFL offensive rookie of the year was an easy one. Giants wide receiver Odell Beckham Jr., who shook off an injury-plagued start of the season to become one of the league’s most exciting playmakers, has been named the NFL’s offensive rookie of the year. The award was announced on Saturday night at the NFL Honors event in Phoenix. The award went to Beckham, who “got 42 of the 50 votes”. Second was Dallas Cowboys guard Zack Martin with seven votes while Tampa Bay Buccaneers wide receiver Mike Evans got the last vote. Beckham and Hill, along with wide receiver Jarvis Landry, were teammates at LSU last year. 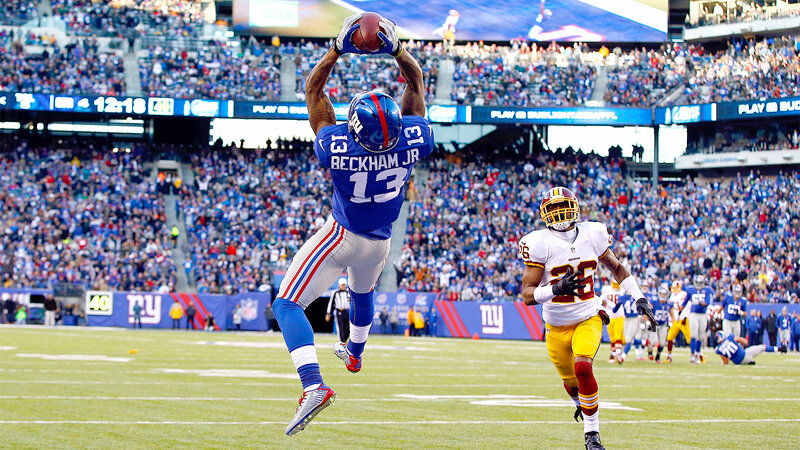 Beckham said there was no competition with Hill’s five 100-yard games. “That’s like a brother of mine, we just want to see each other do well,” he said. “Look out for Jarvis, too. He’s a beast down in Miami. It was the catch caught ’round the world. Odell Beckham Jr.’s reality-defying one-handed touchdown grab on Sunday night against the Dallas Cowboys — while being interfered with, falling backward and seemingly using the matrix to come down in bounds — was quite possibly the greatest catch the world has ever seen. The catch — and the world’s immediate reaction to it — created nothing less than a social media frenzy and turned the bionic Beckham into an international sensation almost instantly. 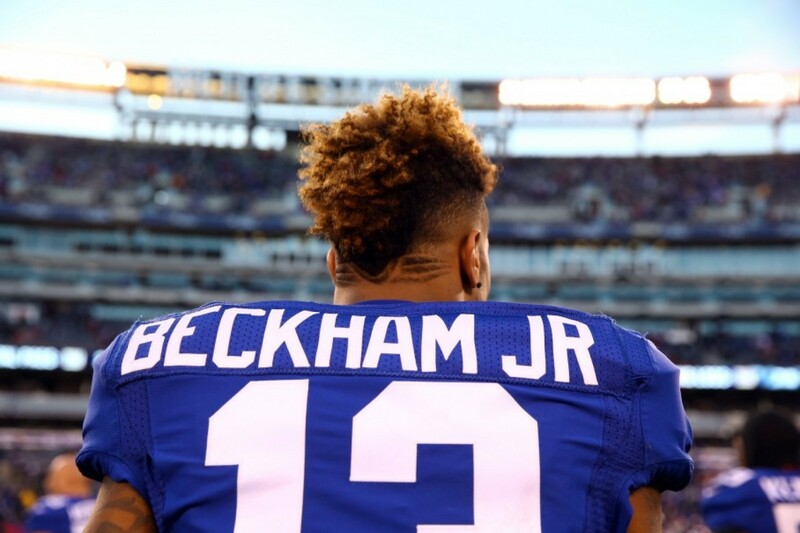 The fact that Beckham Jr.’sNew York Giants wound up losing the game, 31-28, did nothing to dampen a buzz that seemed to grow into the wee hours of Monday morning.